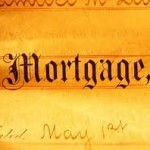 Can you benefit from Mortgagee Sales? You only have to say the words “mortgagee auction” and people tend to go in to a frenzy. Well, there is a company that now specializes in handling mortgagee sales on behalf of the bank. My last guest on Real Estate Talk was Steven Walsh who is the national sales manager for Australian Property Auction Company. Steven, give us an idea if there’s any difference between buying at a mortgagee auction and buying a property that’s not under mortgagee auction conditions. Steven: Thanks for having me on, Kevin. It’s happened over a long period of time. I’ve been involved in the industry for 35 years. It’s just evolved as a very professional process that they undertake. Companies like ours – there are probably about a dozen recognized in Australia that now actually – manage these processes for the banks under some very strict guidelines. Kevin: What sort of restrictions or guidelines do they put in place? Steven: There’s a lot of myths around mortgagee sales. Everyone sort of thinks that banks sell it according to debts and list it according to debts. They reckon you go to a mortgagee auction and you’re going to get a bargain. Well, it depends on what you call a bargain. Banks really are about having a duty of care to the person that actually had the mortgage to get a fair market price for it. Under the circumstances now, we have strict guidelines to market it properly and appropriately, set good budgets, the wording of ads, the placement of ads, all the things that a normal real estate agent would consider. Kevin: At one stage, I do remember that the banks just simply wouldn’t allow for a property to be named as going to a mortgagee auction. Has that changed at all? Steven: Not very much. It’s still a very, very small percentage of finance groups that will allow that to happen. They don’t want to attract bad media about it, so if that’s gone up all over the place, the media will be tracking it down. The other thing is there’s a school of thought that it will actually be detrimental to the price. There was a court case last year that was very specific in the Supreme Court that found that that’s not the case. The banks were entitled to place that in their ads. But I think from a policy point of view, they’re still not doing that. But there are some things you can do to spot a mortgagee sale. Some of the signs would be there’s a vacant house, there’s urgency in the ad, and ultimately all you have to do is ask for the contract and have a look at what the vendor’s name is. Kevin: In that case, Steven, what would we see on the contract that would indicate that it’s a mortgagee sale? Steven: Well, in the vendor’s name, it’ll be a sale by the vendor or under a power of sale of the particular bank or funder for that loan. Kevin: Are there any opportunities for investors at mortgagee auctions to secure a bargain? Steven: It depends on what you call a bargain. They do have a duty of care to get the market value. What is the market value? From the banks point of view they would get an independent valuation, and within that valuation would be a market value and market value range. That can only be determined on comparable sales and the way valuers actually go about their business. It is an independent process and their PI insurance is on the line for that opinion. That’s one thing. Now, when you say a bargain, a lot of these mortgagee sales are in areas that are weak markets. It might appear to be a bargain, but that’s the actual market for the property. Kevin: So anyone going to a mortgagee auction, what should they be aware of before they commence bidding? Steven: Good question, Kevin. There are a lot of things that they need to do. Banks don’t have much of a history about the property at all. They’ll disclose whatever they can, as will the agent, which is a requirement, but they don’t actually go and necessarily do building reports. You really need to do thorough due diligence before you go in and buy. Anything obvious, the banks will fix up. They present the place well, but they’re not about speculating and doing improvements and things like that. They’re not about searching for everything. If there are termites in the building, they don’t go around looking for it unless it’s obvious. Kevin: Yes. Things like unapproved construction work, too. The bank wouldn’t be terribly concerned about that. A buyer should make sure that all the work that’s been done has been approved. Steven: Absolutely. That should be a part of their due diligence for sure 100%. Kevin: Steven, we have the impression that mortgagee sales are always auction sales. Is that the case? Steven: No, it’s not. It is definitely the preferred method of sale. There are some particularly remote or semi-remote areas that are notorious for not having good attendances or having very low clearance rates. In those particular circumstances, it’s just not a recommended way of going. The banks and the mortgage insurers that control these sales are becoming more savvy to that and they are deciding let’s get it on the market straight away and give it a list price. Kevin: Steven, it’s been very helpful. Thank you very much for giving us this information. Steven Walsh from Australian Property Auction Company. Thanks for your time, Steven. Steven: Thank you, Kevin. Cheers.